“Congratulations! I’m so happy for you!” are encouraging words first-time parents hear when they’re expecting. Anticipating a new child is thrilling. You’re welcoming a human into a world that you have the pleasure of raising. All of this is beyond a blessing, but those same people who wished you well forget to warn you. You’re now entering a life of sleepless nights, persistent anxiety, and endless tears. In the past, this could have all been overwhelming, but things change. Technology is now your best friend when raising a child and these products are here to prove it. Gone are the days of driving your child around in the car in hopes of putting him or her to sleep. That tactic is outdated and a waste of time. Parents, what you need now is the mamaRoo Swing. This amazing invention has multiple uses. It acts as a swing and a bouncy chair with five different movement settings. One of the settings is “car ride.” Strap little Jack in one of these and watch how quickly he falls asleep. Don’t worry; the list only gets better. Parents have this bad habit of checking if their child is still alive after putting them down to rest. That alone time they were praying for turns into a cycle of going back and forth to the crib. Thanks to the Snuza, you can now put that practice and the baby to rest, peacefully. All you have to do is attach this device to the front of the baby’s diaper and let it works its magic. After 15 seconds of no movement, the Snuza releases a gentle vibration. After 20 seconds of no abdominal action, an alarm goes off. All of this is done to provoke subtle movement. Did you take the bottle out 12 or 30 minutes ago? Is the milk too warm? No worries, now you don’t have to keep track of any of that, let the Bluesmart Mia Smart Feeding System do that for you. The wifi-enabled silicone bottle sleeve remembers all the tough questions for you. It fits most plastic and glass bottles and all you have to do is pair it with the app. It provides the temperature, correct feeding angles, and a friendly reminder of when its time to feed your child. And if you’re feeling fancy, it even has a built-in microphone. Let’s face it; whether you like to admit it or not, your child might be afraid of the dark. Night lights used to be the solution for this, but now there’s a better way to handle this problem. Say hello to the Hyko Smart Lamp. 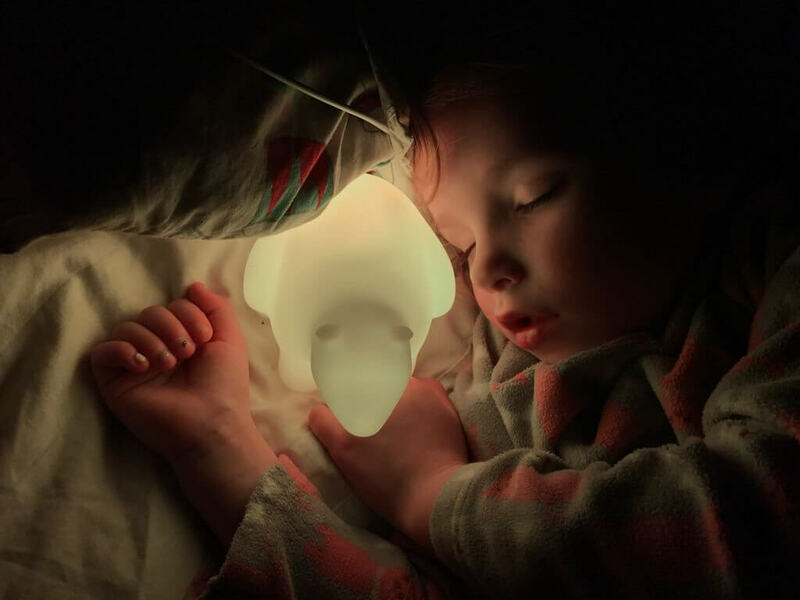 The animal-shaped lamp acts like a stuffed animal. Touch the head, and it switches colors. Shake it, and he wakes up. Parents can sync it to the app and control the brightness and what each color means. For instance, if it lights up blue, that says it’s time for bed. This next item is something every parent wishes they had. Babies cry all the time. That’s a fact of life everyone has to deal with. If only there were a way to determine why your pride and joy is screaming their lungs out. 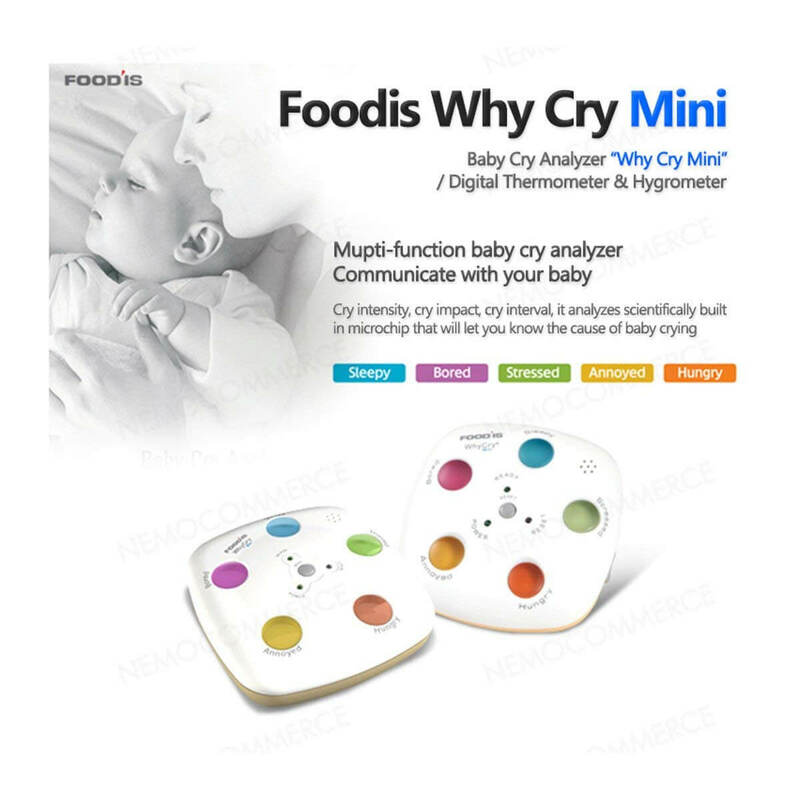 At last, there is a way, and it’s called the Why Cry Mini. The device isn’t 100 percent accurate, but it points you in the right direction. It gauges how hard your child is crying and the intervals to narrow down the possible reasons for the tears. Hold your horses for this next one, it’s something that should have been invented years ago. After you’ve been trying nonstop to put your precious child to rest, so you can get some rest, you pray they don’t rewake anytime soon. Sadly, if waking up in the middle of the night was an Olympic sport, you can hand Jr. the gold medal now. Thankfully, SNOO has invented a sleeping nest that can help you out in the night. The smart sleeper created by famous Dr. Harvey Karp incorporates sound and motion that automatically adapts to your child and calms them back to dreamland. It’s time to toss out those old pacifiers, the plain Jane ones that sit there and do nothing but occupy your child’s mouth. 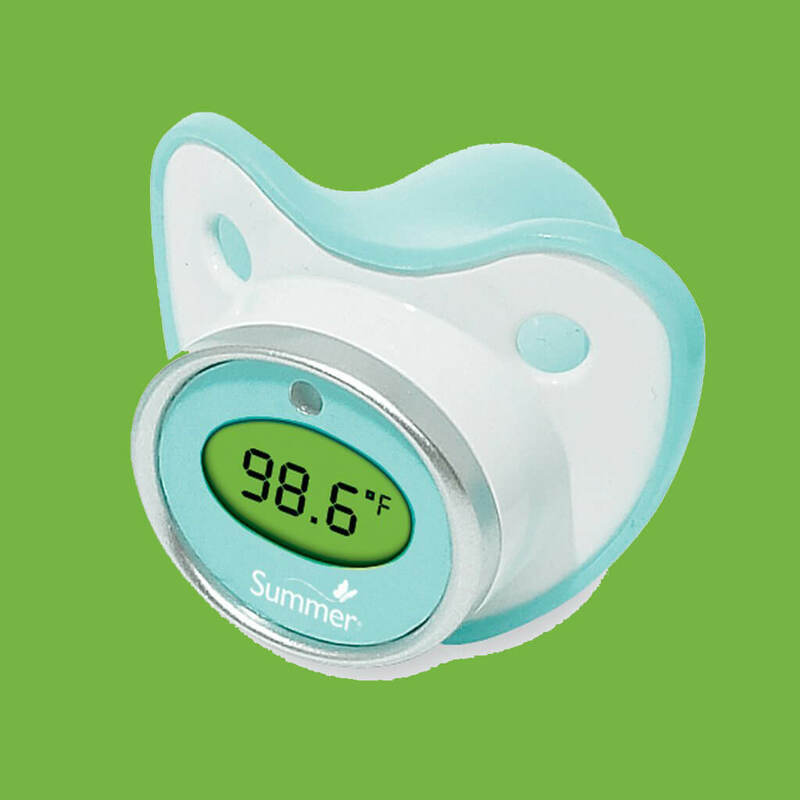 Upgrade to the Summer Infant Pacifier Thermometer. 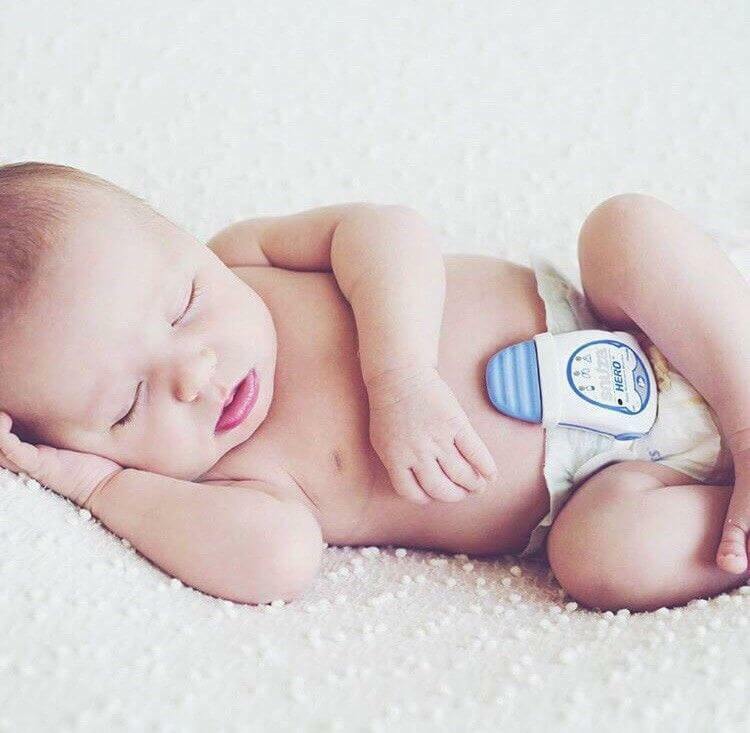 This smart piece of technology has a memory feature that recalls the last reading of your bundle of joy to assist with monitoring their progress. It also has a fever alert feature that glows when a fever is detected. It also measures in both Celsius and Fahrenheit. We told you the list only gets better as you go forward. We’ve all seen the changing tables in restrooms everywhere. Are they the cleanest thing for your child? We can’t answer that, but we can give you a healthy alternative. It’s called the Hatch Smart Baby Changing Table and Scale. A long name, yes, but it gets the job done. It’s a soft foam changing mechanism that lets your baby become the ruler of the castle. It also acts as a scale. 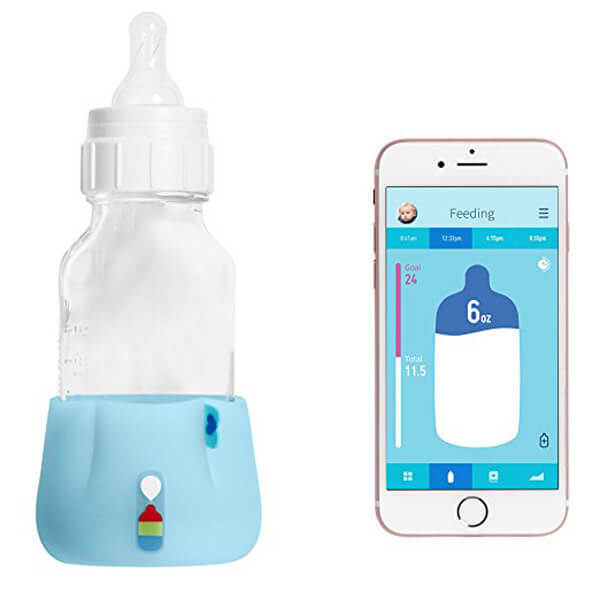 It sends the information to the app on your phone, so you don’t have to wonder your baby’s weight anymore. The video baby monitor might be the single most important item on this list. Who doesn’t want to see how their child is doing when they are alone in a room? Toss out all the speculations and running back and forth due to paranoia. 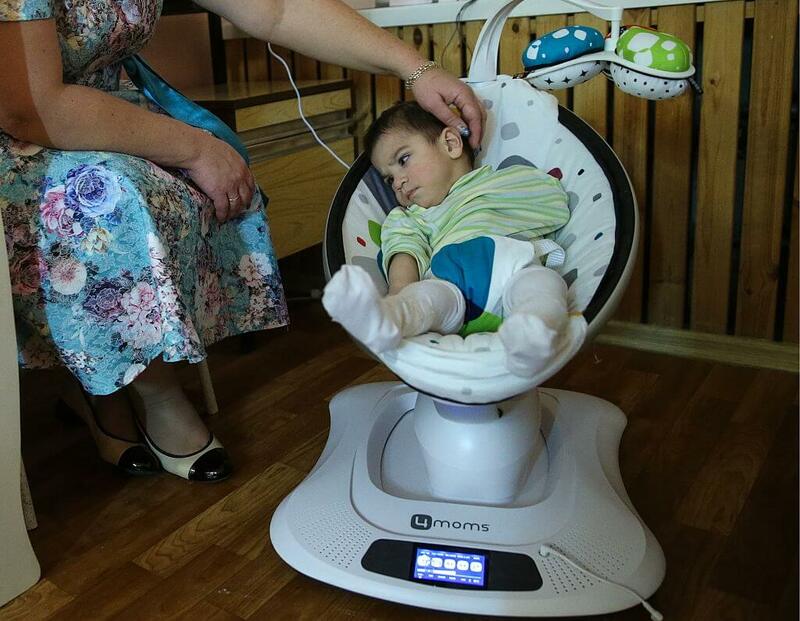 This device allows you to see your child while you’re at work or from the comfort of your room. If you hired a babysitter, you could see how well they do their job. If you have a hard time keeping your smart devices intact, then there’s something for you. “Do you have any games on your phone?” asks every kid, ever. By now, its common practice to hand over your smart device to the little ones if they don’t have one of their own. And when you do that, your piece of technology is more likely to experience some damage. 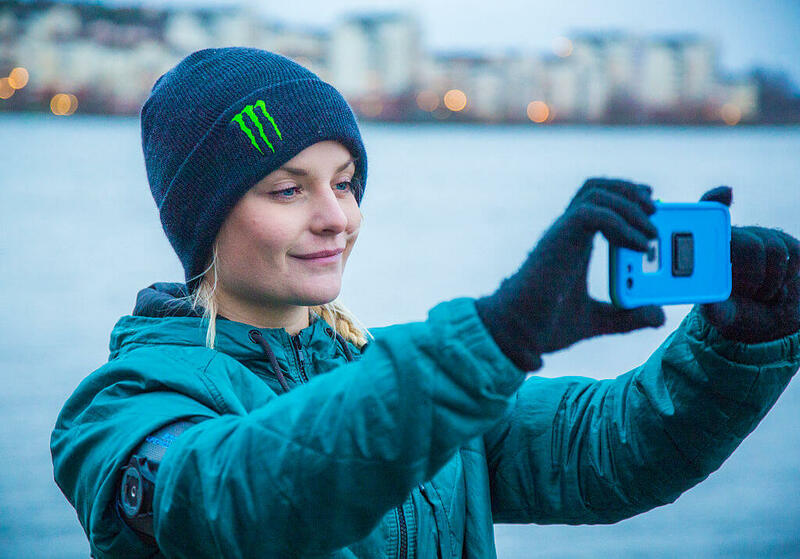 Equip your phone, tablet or iPad with the LifeProof case. The case protects your screen from accidental drops, scratches and can withstand a dip in the water. Dogs and cats shed and leave fur everywhere. That’s one mess you have to deal with if you have pets. Children, on the other hand, are an entirely different beast. Cheerios are laying around, crumbs from various foods; you name it. When you combine all of that, you can conclude that you might need some help cleaning around the house. 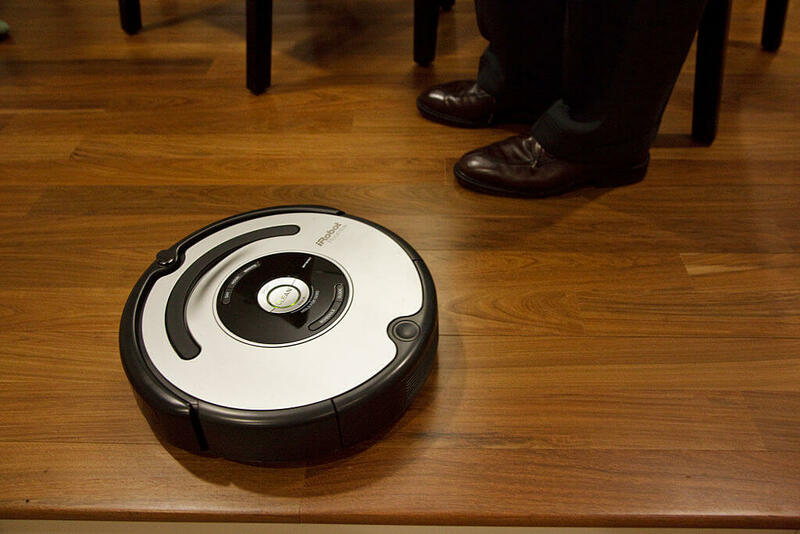 A Roomba vacuum is exactly the technology you need. While you’re busy with other tasks, let this little guy roam your floors picking up that stale cereal for you.